In this talk at TEDx Seattle, John SanGiovanni discusses what he calls the Artist-Geek Hybrid, and crossover skills in general. This is a topic I am discovering more and more about, as I am increasingly playing a variety of roles myself, including artist, experience designer, and software developer. Here is a quick summary of the video: John talks about the value of having a 'wildcard' of cross-domain knowledge, which he illustrates with a crazy Teenage Mutant Turtle story. The RGBDToolkit is a fun piece of kit for tinkerers and artists, but it comes with a steep learning curve. This post will guide you through the hardest part - calibration. Ultimately calibration is about combining two commercial products which weren't designed to be combined - a depth sensor (either a Kinect or an Asus Xtion), and a DSLR (or some kind of RGB camera). Although it is undeniably difficult at first, the RGBDToolkit makes this process far easier than it would be if you were starting from scratch, and it gets easier and quicker with time. Some depth sensors have an RGB (Red Green Blue) camera, some don't. But that's fairly unremarkable and let's ignore it for now. This post explains some of the hidden secrets of camera lenses. It will help you compare lenses against one another, explaining focal length and the 35mm equivalent (more on that later). It's very important to understand this concept given a camera market in which there are so many different sensor sizes. 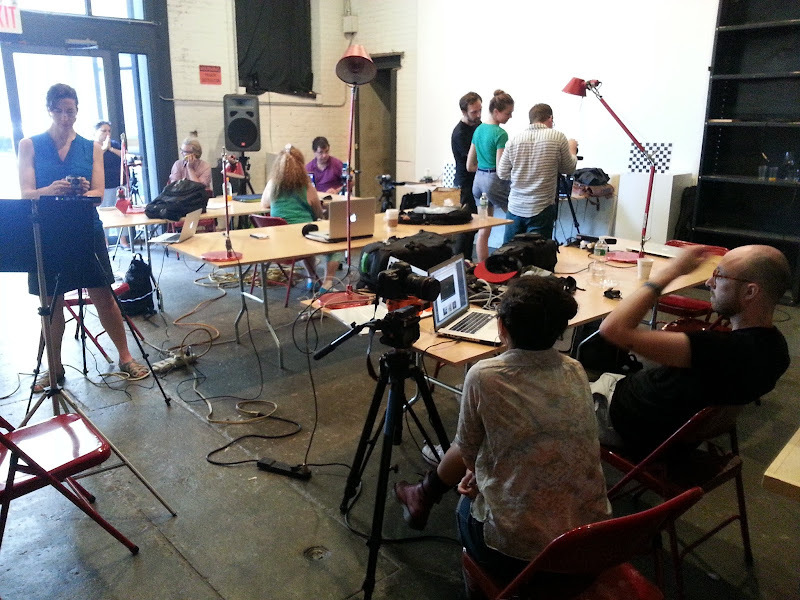 Last weekend I attended an RGBDToolkit workshop at Eyebeam NYC. I'm posting about it now just because it reminded me how much I enjoy hacking hardware, playing with digital media and exploring new technologies. The Toolkit is about combining HD video from DSLRs with depth data from PrimeSense-based sensors such as Xtion or Kinect - effectively an early technique for creating 3D cinema. Due to the implementation details there is a particular aesthetic associated with RGBD, but that is true of all media and I'm looking forward to pushing against this aesthetic. As always, I'll briefly summarize what I think are some of the salient points in the video, to make it easier to digest at a glance. For the purposes of this article, you will need to have a working knowledge of Relational SQL databases, and OO code.